See why millions of educators love our digital literacy solutions. Get started today. Addresses specific technology skills required in National & State standards. Produces positive and measurable student outcomes. Uses a variety of interactive learning resources. 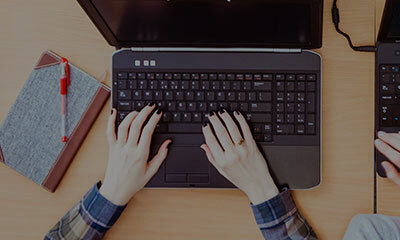 Computer Fundamentals teaches students about computer systems, hardware and software, including the ethical use issues surrounding them. 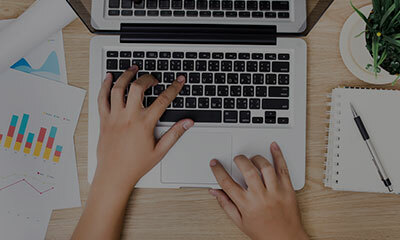 Students learn essential coding concepts such as syntax and sequence to create a product or describe a process, then receive an introduction to coding in Python that uses fun and engaging project-based lessons to teach students core concepts in Python and game design. 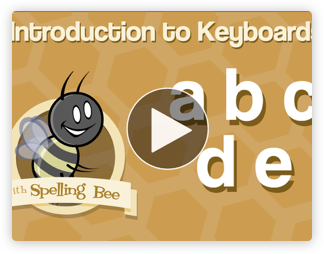 Teach students typing basics in early grades and progressively increase their accuracy and speed in later grades with the below keyboarding lessons and drills. Adaptive Keyboarding will assess student’s typing strengths and prescribe custom typing activities to meet their individual needs. 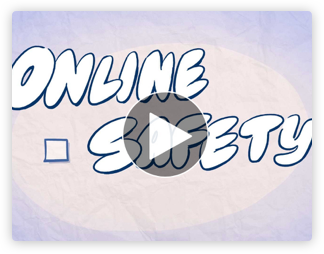 Equip students with the online safety skills they need to combat cyberbullying and determine what information is credible on the internet. Students develop transferable problem solving and computational thinking skills by comparing and contrasting the design process with writing process, logic and reasoning, or scientific process. Multimedia curriculum teaches students the fundamentals of a variety of content forms. Students learn the basics of graphic design, desktop publishing and video editing. The Internet Usage and Online Communication unit teaches students vital skills for successfully navigating and searching the World Wide Web such as browsing basics, keyword searches, research strategies, information sourcing and ethics, and examination of information validity. Students also learn the basics of online communication such as email, instant messaging, blogs, community sites, podcasting, and digital collaboration. Visual Mapping is an important skill for sorting information, comparing and contrasting ideas, and exploring complex concepts visually. Students learn to create visual maps, idea webs, diagrams, and groups of information based on classification. Students then practice their skills in interesting visual mapping practice activities. 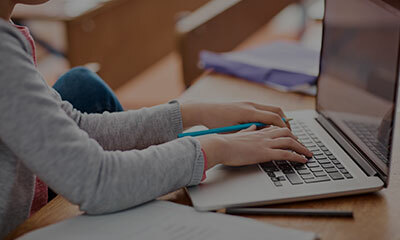 Students learn the essentials of word processing such as word processing basics, formatting, proofreading, spelling and grammar tools, and complete activities such as poem creation and advanced report writing. Students can also play word processing games and take quizzes to check their knowledge of these essential skills. 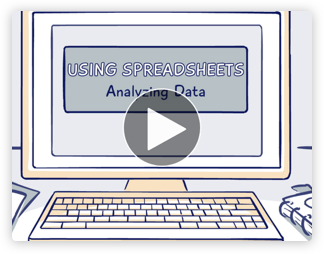 Students are introduced to spreadsheets and their many uses in this unit. Students learn basics like creating basic tables of data, data formatting, formulas, and creating various graphs. Students then practice their spreadsheet skills using data from real-life situations. Available spreadsheet quizzes help students and teachers check for understanding of this essential skill. The EasyTech Databases curriculum teaches students how to use and create databases for real-life situations. Students learn to create and search different types of databases, and create queries and reports. Students can check their understanding in the available database quizzes and apply their skills in interesting database activities. Students learn basic presentation skills and use of common presentation software titles. Topics include presenting to audiences, slide organization, and design and special effects. Students then practice their skills in presentation activities, with topics including natural resources, animal habitats, and interesting inventions. 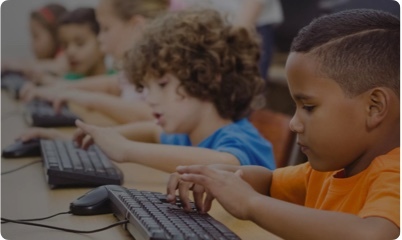 Comprehensive, integrated technology curriculum materials use proven instructional approaches, based on a foundation of brain-based instructional design, to produce positive and measurable student outcomes. Engage students with a balance of learning experiences to deepen concept understanding. Learning.com provides a complete scope and sequence and pacing calendars that can be customized to fit your instructional needs. Introduce, develop and master key concepts through discussions and interactive lessons using real-life situations. Lessons provide instant feedback as students progress through simulated environments. 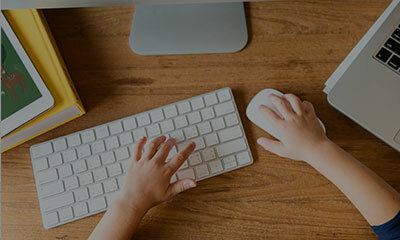 Provide students with the opportunity to apply the technology concepts they have learned through guided practice, application exercises, games and adaptive keyboarding practice apps. Identify technology skill gaps with short, multiple choice pre-tests. Check for understanding through interactive unit quizzes using a variety of question types including drag-and-drop, multi-select, sort, match & order. Blend technology with classroom instruction using projects based on the tenants of Project Based Learning. Students work collaboratively through projects and built-in reflections allow students to evaluate their leaning and develop critical thinking skills. Try out four sample lessons from our Keyboarding, Online Safety, Coding and Business Applications curriculum. For grades K-1, students learn the location of the letters a, b, c, d, and e while also hearing the sounds of these letters. For grades 6-8, students learn that information posted online leaves a digital footprint, a trail of clicked links, uploaded photos, and posted messages. 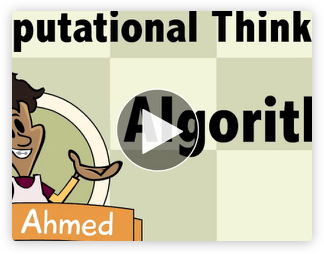 For grades 3-5, students learn how to analyze a problem to create an algorithm and learn the importance of testing to ensure their instructions are reliable and accurate. For grades 6-8, students use spreadsheet software to create, label, and modify pie charts, bar graphs, and line graphs. Note: With a license, additional features are available, including bookmarking, scoring, certificates and LMS grade passback.